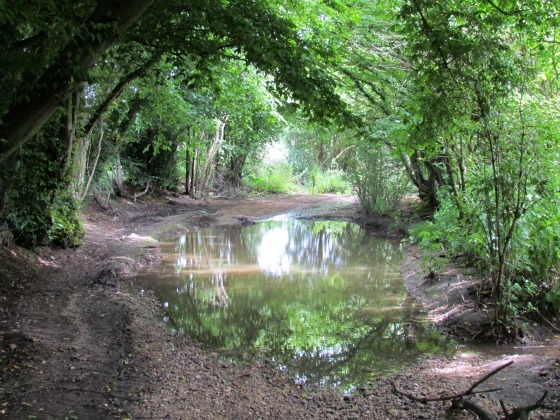 Climbing from Welwyn up to Danesbury Park and back down via Singlers Marsh Nature Reserve on the banks of the River Mimram, one of only 200 chalk bed rivers in the world. Park in old Welwyn. There are a number of free car parks in the town as well as options to park along non-restricted residential roads. Check parking rules carefully because not all roads have open parking. 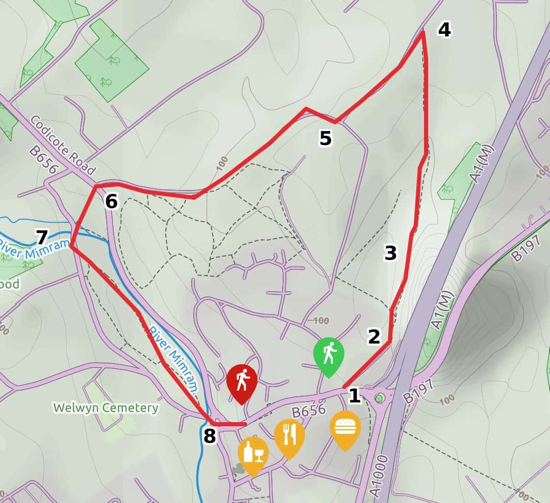 1: Make your way to Roman Road which runs north off Church Road just behind Clock House Gardens. Roman Road has barriers blocking traffic and soon becomes a footpath. 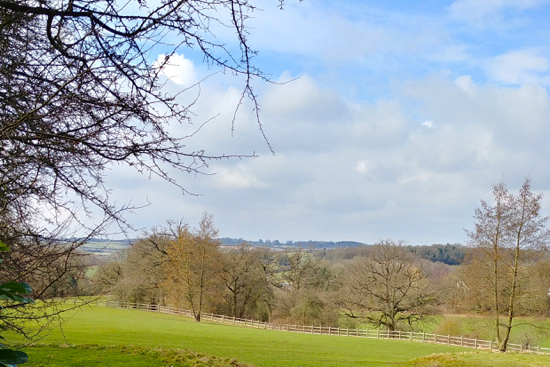 2: At the end of Roman Road, take the footpath on your left, and climb the hill heading north towards a gate. 3: Go through the gate and continue heading due north to another gate. Go through this gate and continue uphill in a northerly direction until you reach Danesbury Park Road. 4: Turn left and follow the road south, south-east until you meet a T junction. 5: Here you turn right and follow the road round to the left and down as it continues to head south. As you walk along this road, look in the verge to your left where you will spot more than a dozen tank traps left over from WWII. 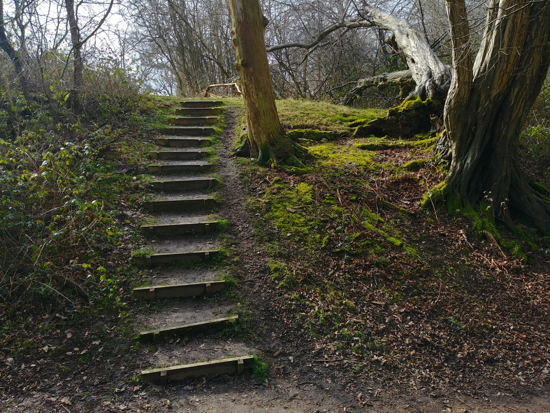 After about five minutes you will see a set of stairs through the trees on your left. 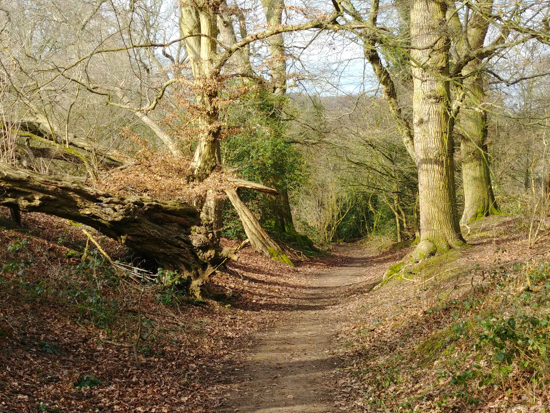 At this point you can turn left in the woods heading for the stairs and take a right on a footpath just before you meet them, This path runs parallel to the lane you were on and meets it at a gate. Alternatively, continue down the lane until you reach Codicote Road. 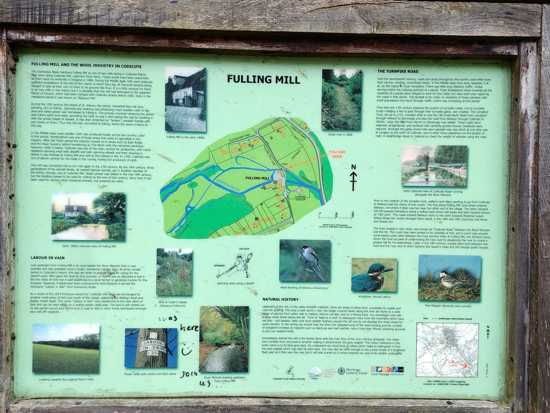 6: Cross Codicote Road and take the footpath opposite until you reach Fulling Mill Lane and Fulling Mill. 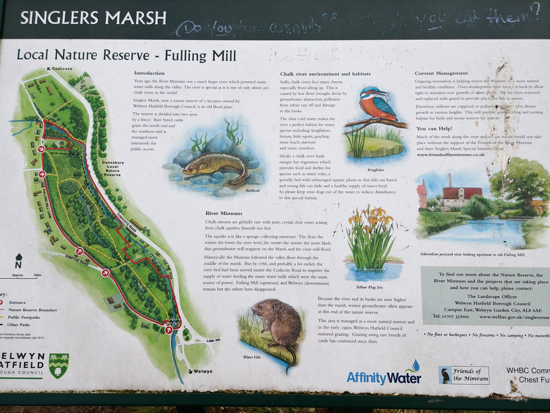 7: Turn left and continue along Fulling Mill Lane for a short distance looking out for a footpath on your left taking you into Singlers Marsh Nature Reserve. Continue through the nature reserve heading south, south-east with the River Mimram on your left. The Mimram is one of only 200 chalk bed rivers in the world. 8: Rejoin Fulling Mill Lane at its junction with Codicote Road, turn right heading south back to the village and your car. There are several cafes, pubs and restaurants in Welwyn.